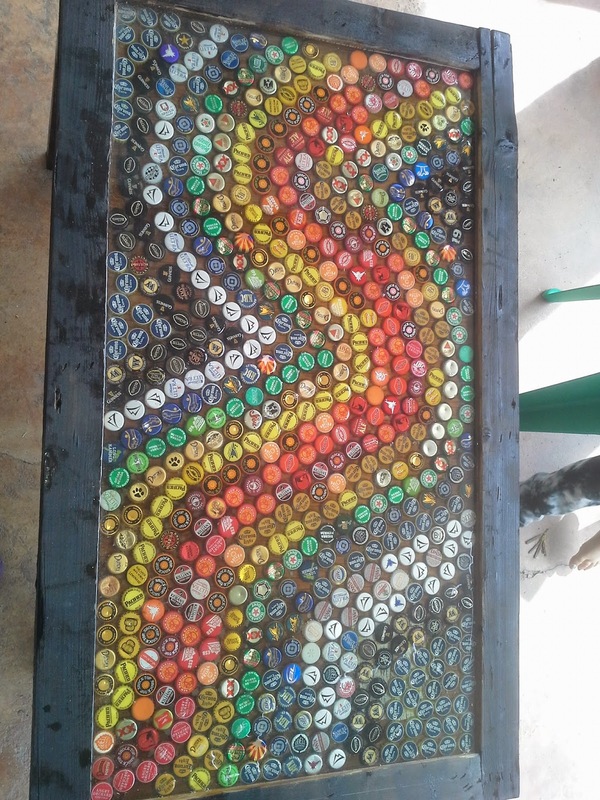 green pickle: bottle cap pallet table..love it! 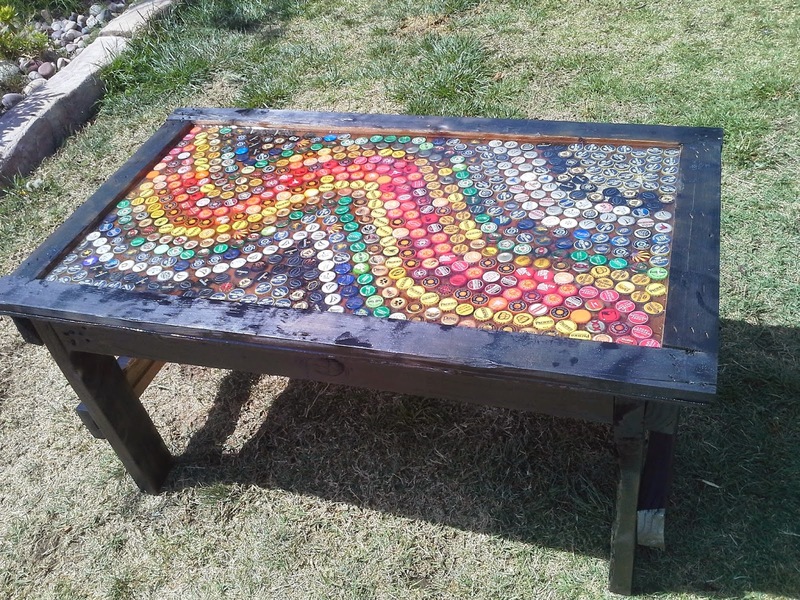 bottle cap pallet table..love it! It took me a long time because I kept having holdups.. but if I would have looked up on the computer the correct way to do it first , it wouldn't have taken so long... and I didn't realize it was going to take so much resin.. if I could have figured that out first, I would have bought it by the gallon.. instead of having to go back again and again to get more... 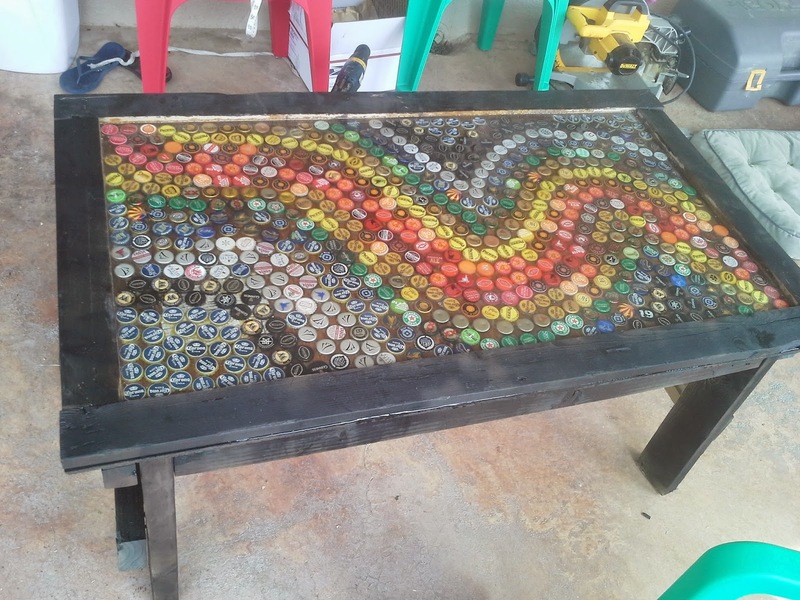 I guess I just do things the hard way....anyhow its done now... and I can stop my bottle cap collection... 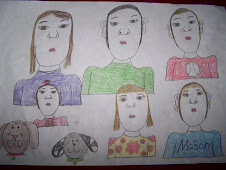 But I do LOVE it.. its a conversation piece, that's for sure!! !